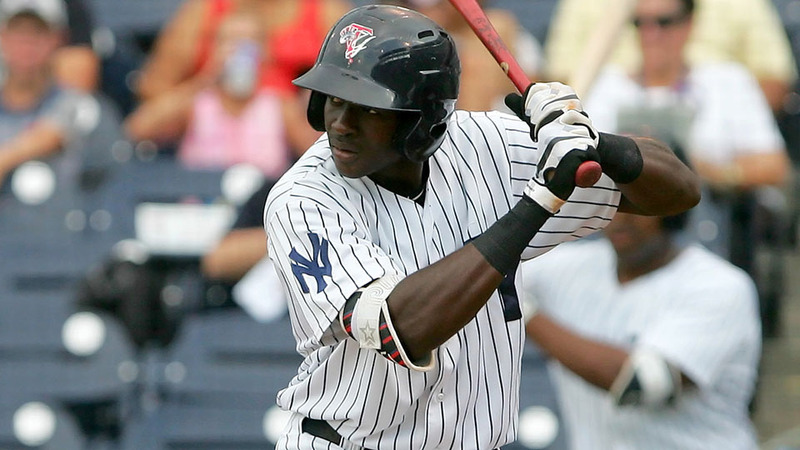 Several Yankees farmhands got a little closer to earning their pinstripes Friday. Top-100 prospects Estevan Florial (No. 44), Justus Sheffield (No. 48) and Chance Adams (No. 75) highlight a group of 20 players receiving non-roster invitations to Major League Spring Training, the club announced. A 20-year-old outfielder coming off a breakout campaign, Florial will head to Major League camp for the first time (though he did get two at-bats with the big club last spring). The left-handed slugger hit .298/.372/.479 with 13 homers and 23 stolen bases in 110 games between Class A Charleston and Class A Advanced Tampa last season. He also received a call-up to Double-A Trenton for the Eastern League playoffs. Though his speed, power and defensive ability are impressive, Florial has struggled to make consistent contact, striking out 148 times in 2017 -- 31.1 percent of his plate appearances. That will be a focus when he heads to Tampa later this month. Sheffield and Adams are both headed to Major League camp for the second straight spring and will get chances to show just how close they are to the Show. Sheffield, who has the potential for three above-average pitches, posted a 3.18 ERA with 82 strikeouts and 33 walks in 93 1/3 innings at Double-A Trenton last season and later stood out in the Arizona Fall League, where he fanned 22 and walked only three in 20 1/3 frames. The 21-year-old left-hander will likely join Triple-A Scranton/Wilkes-Barre to begin the 2018 season. Adams is perhaps the closer of the two hurlers, having already made 21 starts in the International League. The 23-year-old right-hander posted a 2.89 ERA and 1.08 WHIP with 103 strikeouts and 43 walks in 115 1/3 innings with the RailRiders after moving up from Trenton in mid-May. However, his ceiling likely isn't as high as Sheffield's -- his four pitches earn average grades from scouts. Four other players who finished the 2017 season ranked among MLB.com's top 30 Yankees prospects also received spring invites: right-handers Dillon Tate, Cody Carroll and Taylor Widener and second baseman Nick Solak.